Came across this a few days ago, where people were talking about clutch weights. Since I had one or four clutches in the garage, I decided to weigh them. First up, stock R32 PUSH style clutch. This is an early clutch. Some R32 are push, some are pull. The later cars are pull. 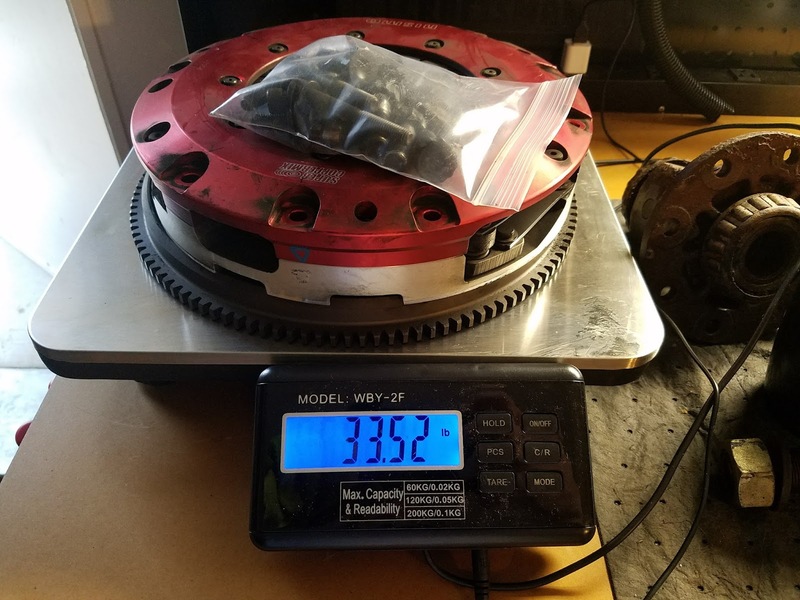 39.86 lbs (18.08 KG) with bolts. Just a hair under 40 lbs for the stock clutch assembly with bolts. Next up, the NISMO Coppermix twin plate clutch. 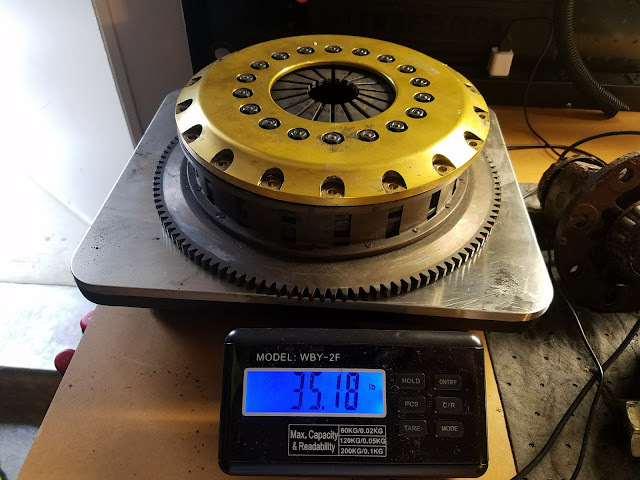 33.5 lbs for the NISMO Coppermix. 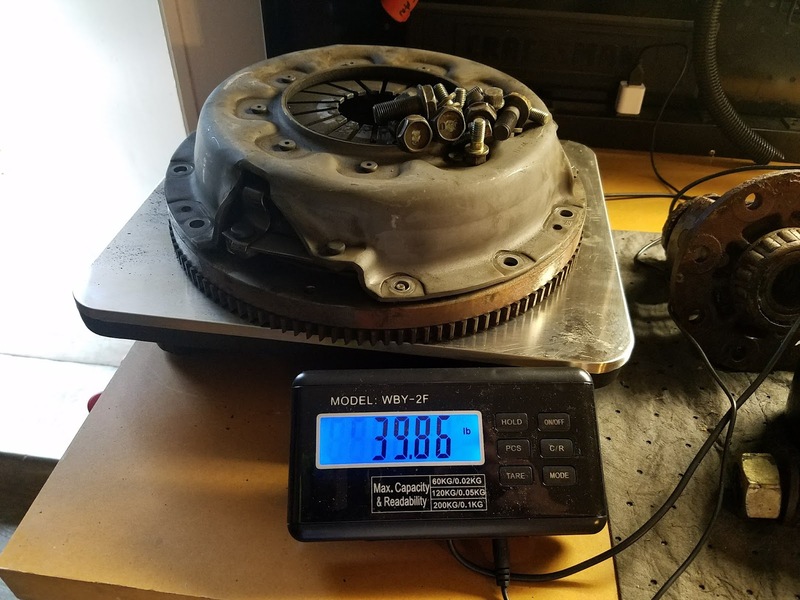 Six lbs lighter than stock. 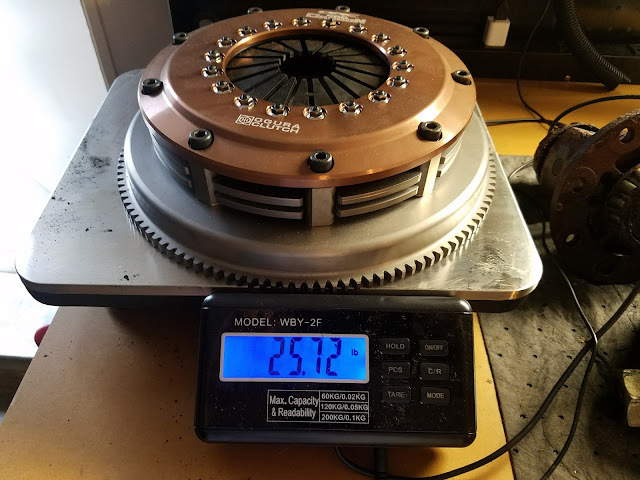 Not a huge improvement, but an improvement for rotating weight. Now this one has a significant weight savings over stock. An Ogura twin plate carbon clutch. This style of carbon clutch is carbon and steel. The Tilton carbon carbon triple plate, with flywheel is 19 lbs. This is the type of clutch, you really notice how much quicker the engine comes up.